I've spoken about my love for Too Faced a few times on this blog. Though I fully admit that I judged them as a "tween" brand, products for teeny boppers - basically nothing that I felt resonated with me and my style. Welp, they have proved me wrong time and time again. Between the Chocolate Bar Palette and Semi-Sweet Chocolate Bar Palette, the Chocolate Soleil Bronzer, the Natural Mattes Palette, the new Born This Way Foundation (read my review here) and now these Long Lasting 16-Hour Blushes - Too Faced is basically killing it. These blushes are their newest launch and are an absolute stunner. The pigmentation is INTENSE so make sure you use a light hand, but the good news is these would be perfect for a ton of different skin tones! I didn't even need to build up the above swatches to get them that intense. My favorite shade was of course Love Hangover - I live for a peachy-pink on my cheeks. However, I have had Baby Love and I Will Always Love You in rotation regularly as well. Justify my Love is a bit too much of a blue-based pink for my liking, but Your Love is King is surprisingly imparts the most gorgeous looking flush onto the cheeks. I didn't time them to see if they lasted 16 hours, but I can tell you that my cheeks were still in full blushing force after I got home from a full day of work. So as long as they get me through that, I am a happy gal. 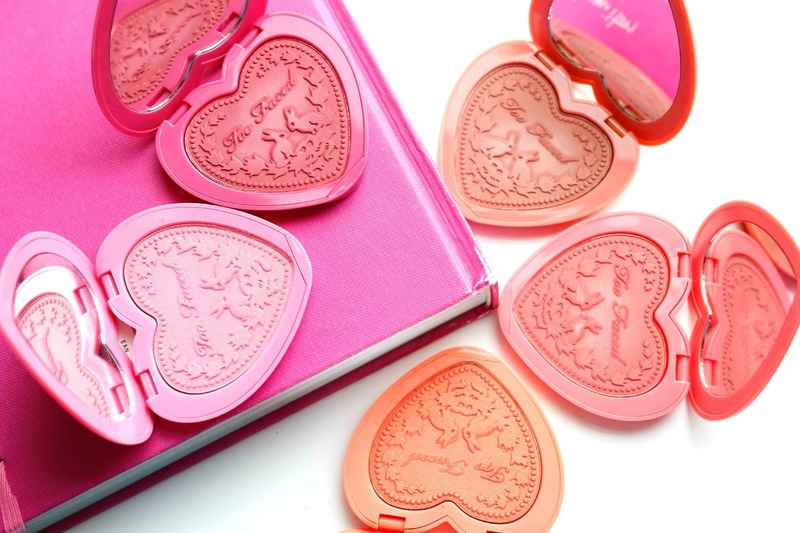 Have you tried any of these new blushes? I would love to hear your thoughts! I would honestly buy one of these just for the packaging. It's ADORABLE. The shades look gorgeous though - I especially love the look of I will always love you!